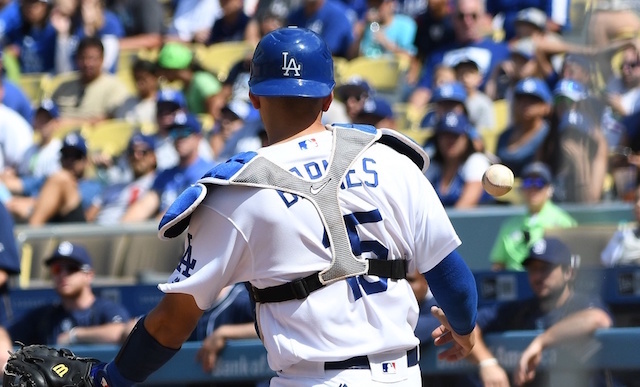 MLB Pipeline rated Los Angeles Dodgers catcher Austin Barnes the No. 8 prospect at his position heading into the 2017 season. Barnes was also ranked eighth by the publication last year, and the ninth-best catching prospect in 2015. An injury to Yasmani Grandal resulted in Barnes making the Dodgers roster for Opening Day of the 2016 season. 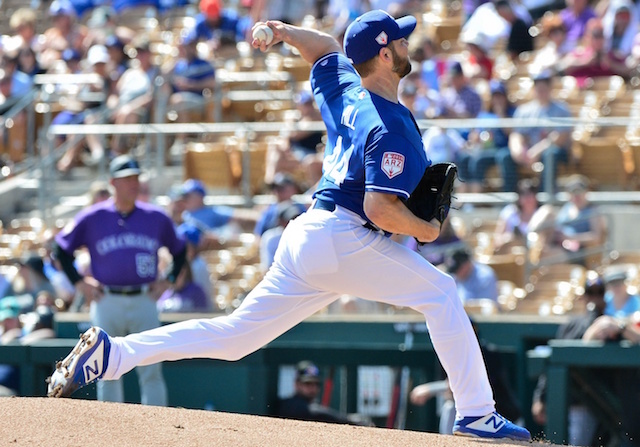 He appeared in five games, going 2-for-15 with six strikeouts, before getting optioned to Triple-A Oklahoma City. In 85 games with OKC, Barnes batted .295/.380/.443 with 22 doubles, five triples, six home runs and 39 RBI in 85 games with Oklahoma City. In addition to serving as their primary catcher, Barnes played at least one game at second base, third base and center field. 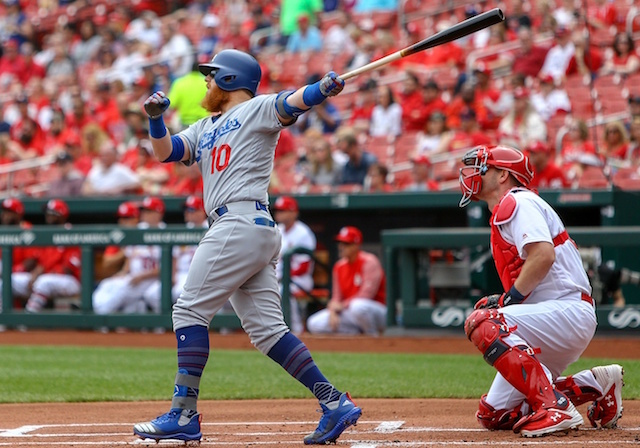 That versatility was seen during Barnes’ four stints with the Dodgers last season, as he played catcher, second base and third base for the club. Over 21 games with the Dodgers, Barnes hit .156/.270/.188 with two RBI in 37 plate appearances. 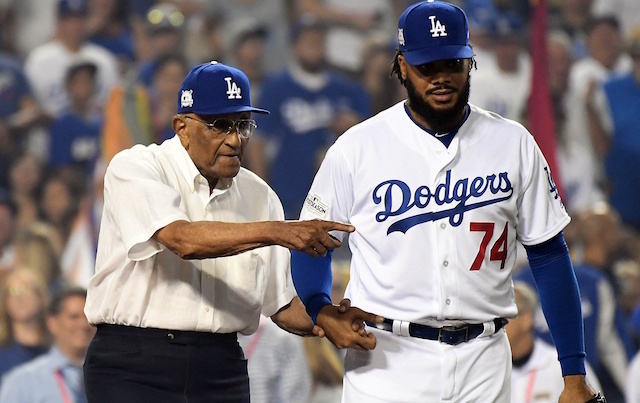 Despite the limited playing time, he was among seven rookies to be included on the Dodgers’ roster for the National League Division Series. Roberts cited Barnes’ versatility and speed when explaining the decision to carry three catchers. That paid off in Game 5 when Barnes entered as a pinch-runner in the seventh inning and scored the go-ahead run. 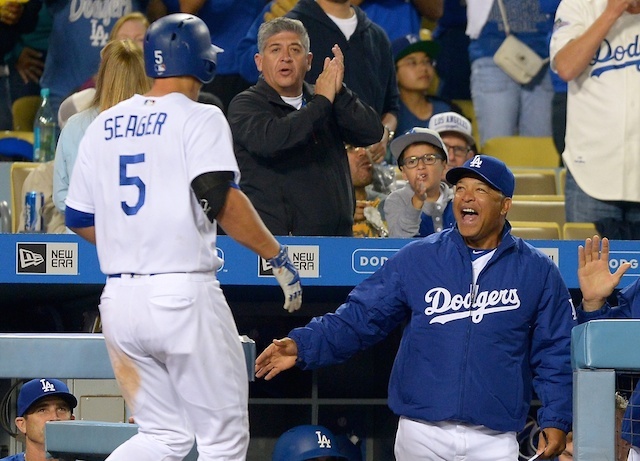 With Los Angeles trading Carlos Ruiz to the Seattle Mariners last November, Dodgers manager Dave Roberts tapped Barnes as the backup catcher for 2017. To this point in his young career, the 27-year-old has never appeared in more than 21 Major League games during a single season since being selected by the then-Florida Marlins in the ninth round of the 2011 Draft. In addition to being recognized by MLB Pipeline, Barnes was ranked among the Dodgers’ top-10 prospects by Baseball America.